Launching this week, Warrington based Co-ignition http://www.co-ignition.com is a radical new global talent platform that is set to revolutionise the recruitment sector, making hiring easier, cheaper and faster. Two years in development, Co-ignition is the only accredited, secure, cloud-based global talent search and placement platform in the world and will finally eradicate the major issues affecting recruitment worldwide – high costs, poor candidates and slow processes. Co-ignition.com features permanent, contract and temporary roles in all sectors, in any country and soon, in any language with every aspect of the recruitment process securely managed online, from posting vacancies and submitting candidates to scheduling interviews and submitting feedback. The efficiency of the system is such that Co-ignition estimates that it will reduce hiring time by at least two thirds, drastically increase the transparency and quality of recruiters and will help businesses worldwide shave millions of pounds off their recruitment costs. 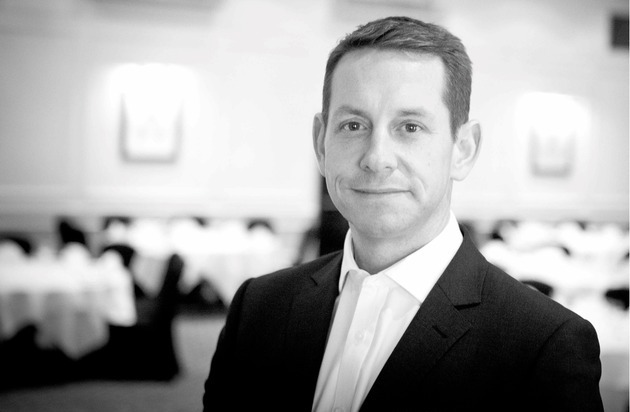 Co-ignition Founder and CEO Chris Hitchens is a former military pilot and owner of Platform People, a multi-million pound business delivering consultancy and specialised recruitment in the wealth management sector. Chris says: “Recruiting the right people can be frustrating, expensive and slow and as a result the industry has acquired a pretty poor reputation. Co-ignition was developed to tackle these issues head on, giving control back to employers – control of the costs, the quality of candidates and the recruiters they want to work with. “Nationally it takes between 12 and 17 weeks to fill a job vacancy; on average it takes between 11 and 26 days to hire through Co-ignition. That’s a huge amount of time, money and resources saved. Just as estate agents had to up their game with the advent of sites like Rightmove, so the technology that powers Co-ignition will revolutionise the recruitment industry, putting the entire process securely online, spotlighting the best recruiters and making hiring much more simple. The Co-ignition platform is free to post vacancies and use up until the point of hire. The technology also allows full tracking and reporting throughout the process that allows employers to measure the reduction in real recruitment costs and recruiters to measure their performance against that of their competitors. * All candidates enter a standard 3 month probation period within which if they don’t work out a rebate can be initiated or a free replacement obtained from within the platform. The refund declines the longer the person is in role. Notes to Editors:Co-ignition has offices in Warrington, London and Melbourne Australia and currently employs ten staff.Co-ignition Founder & CEO recruitment and platform technology expert Chris Hitchens has built and delivered highly transactional global £100M+ technology platforms and has created and managed a niche financial services recruitment company. Co-ignition Chief Operating Officer Warren Lunt is a strategy and technology expert who is highly experienced in working with high growth businesses, usually with an overall responsibility for operations and the strategic plan.Non-Executive Director David Roberts has worked with various high growth companies and has a strategic marketing background.